What is THAT? Have you ever been asked that question as you whip out what looks like a super-sized ketchup packet, tear it open and squirt something colorful with the texture of honey into your mouth? If you answered “yes,” then my guess is you have been introduced to the world of energy gels! My first energy gel experience took place while on a summer bike ride a few years ago. About 20 miles into a bike ride, I whipped out an Espresso flavored Gu Energy Gel. I was not prepared for what I was in for….. warm, flavorful, and gooey! Here’s where I get to show I’m not as young as I once was…. back in my Army days, we used to use honey packets before a timed physical fitness test or during long workouts. Honey packets either came in the form of a ketchup packet or what looked like a straw (similar to Pixie Sticks candy). You will often find energy gels in goody bags for local road races – everything from 5ks to marathons, at local cycling events, and triathlons. I have even seen endurance belts designed to accommodate up to six gels at a time. While watching Ironman Kona (from my living room couch of course), I saw one triathlete tape over ten Gu packets onto her bike frame. Energy gels are indeed going to stick around (pun intended). Leave a comment below answering: What is your favorite energy gel brand and flavor? Click on the link to enter! I’m all about the GU- Root beer, salted watermelon, and salted caramel are my top three. I love GU vanilla, but I’m slowly trying all of the Accel Gel flavors too. 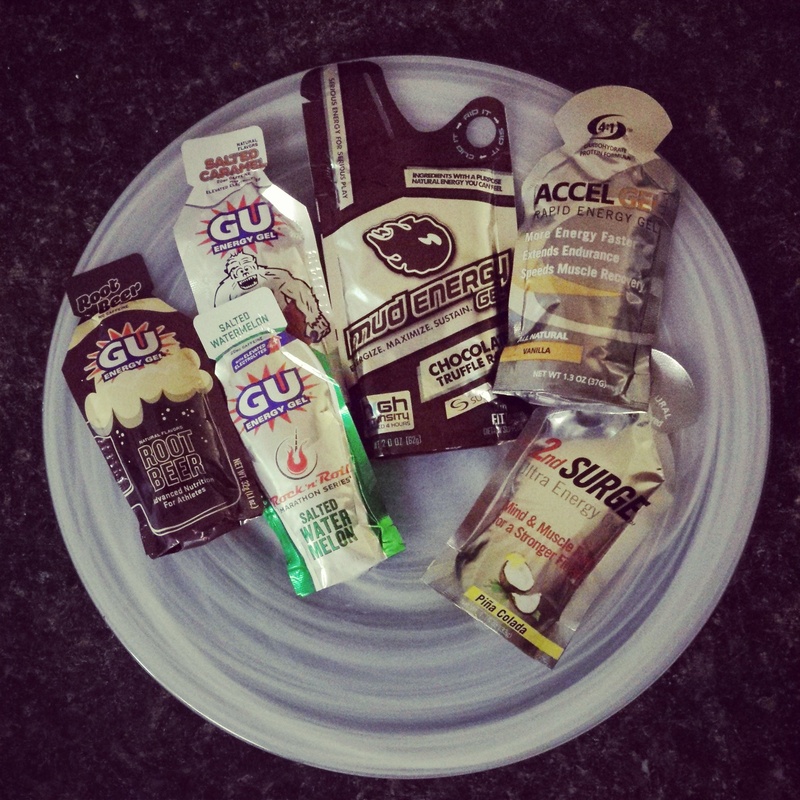 I love Huma Chia gels but I’m really curious about the GU Root Beer! My go to is GU Peanut Butter. Love the GU Salted Caramel!